Drew offers a major in environmental studies and sustainability. 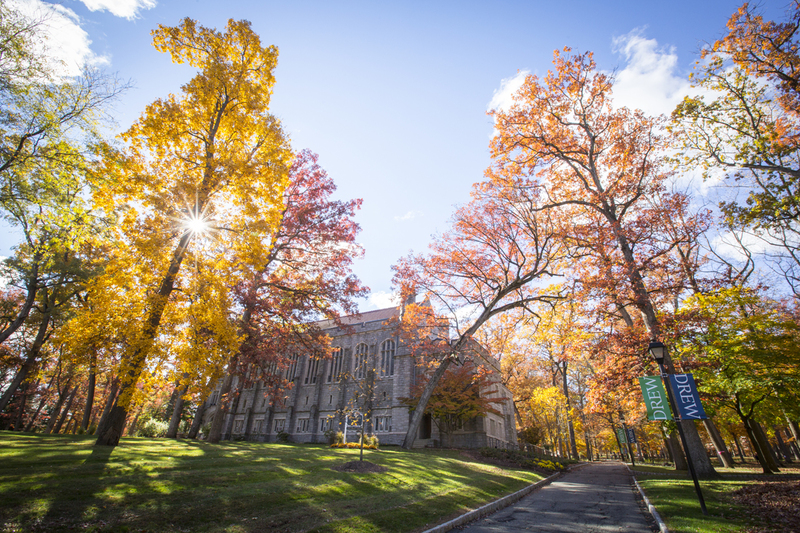 October 2018 – For the ninth straight year, Drew University is featured in The Princeton Review’s Guide to 399 Green Colleges. The 2018 list was culled from a larger group of 648 schools and is based on data related to sustainability policies, practices and programs. Princeton Review launched the guide in 2010 and Drew has been featured in every edition. “This means we are on the right track toward sustainability,” said Tina Notas, Drew’s campus sustainability coordinator. In particular, Notas cited the university’s carbon action plan to reach climate neutrality by 2035 and its commitment to buying organic, local and humane food—20 percent of its food budget is earmarked for that. In addition, Drew offers a major in environmental studies and sustainability. The Princeton Review recognition comes after Drew earned a mark of distinction for its commitment to a national effort to curb carbon emissions. That mark came from the nonprofit Second Nature.